A charming 1860’s dark brown plaid three piece gauze dress. 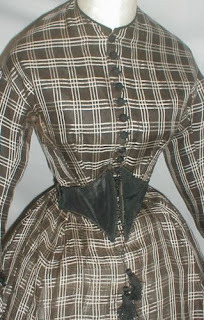 The ensemble consists of a separate bodice, over skirt and under skirt. It also comes with a separate black silk Swiss belt. 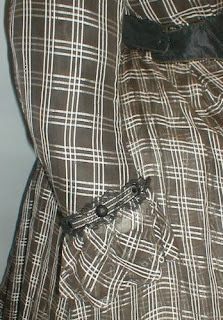 The sleeve cuffs are trimmed with black and white silk trim. 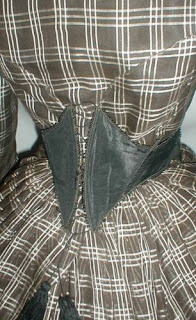 The bodice is lined with cotton and has a front black crocheted button closure. 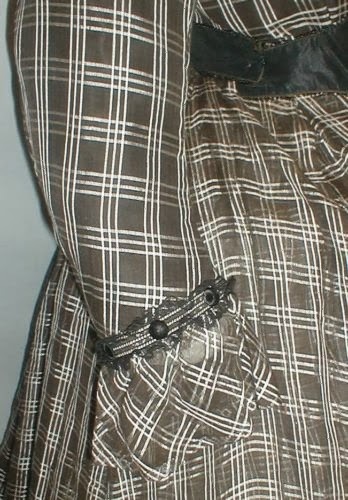 The over skirt is unlined and decorated with black and white silk trim. 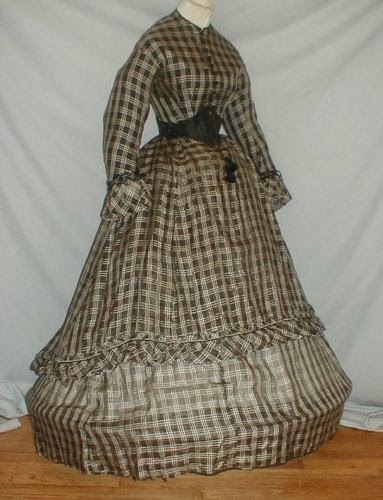 The underskirt is unlined. The Swiss belt is made of black silk and trimmed with black beading. 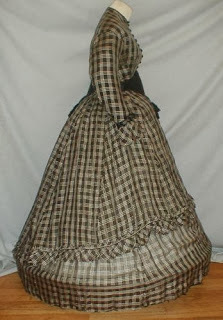 It has front and back lacing with attached silk tassels. 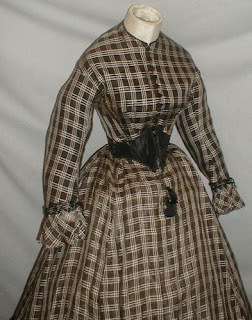 The dress is being displayed over white under garments that are not included. It is in very good and sturdy condition. There are a couple of pea size holes in the overskirt. 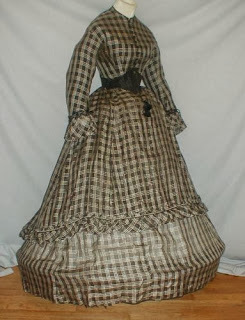 There are no holes in the bodice or under skirt. 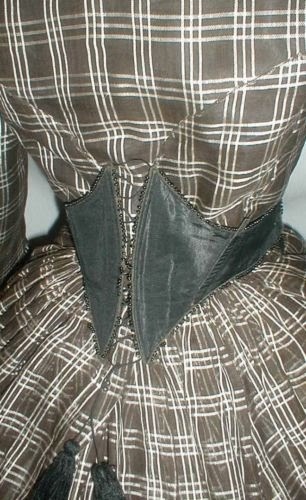 The Swiss belt has a couple of splits and the boning is showing in two areas. A beautiful display dress. 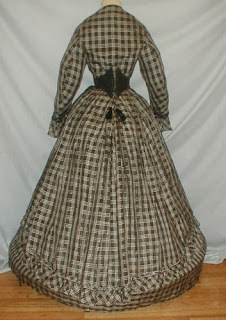 Bust 30 Waist 24 Length of underskirt 43 Width at hemline 120. Probably about 1864/1865 time frame based on the length of the overskirt.